All registrations must be accompanied by full payment/purchase order to reserve your place at the event. You may register online or by mail. Join us at the MSPS 2018 Winter Seminar for a four-part session with John Matonich, PS, that will explore: Deeds and Descriptions, Risk Management, Leadership, and Laws and Sausages. Read more about each session below. This session will address key issues with regard to Deeds and Descriptions. Included will be information on understanding the purpose of a land description and who should prepare one, along with the importance of intent. It will cover survey terminology and definitions. Part of the presentation will be keys on how to research land records to check for adjoining property and indexes to land records. There will be a section on essential elements of a description as well as types of descriptions and common errors found. Managing risk is a necessary part of running a successful business. This session will explain why you should manage risk, what is liability, and address what problems claims and disputes can cause. It will also present a risk management model and discuss risk control. All aspects of contracts will be explored including special provisions, contract essentials and how to negotiate a contract. Also presented will be the sources of duty for professionals, primarily common law, statutory law and contract law. Leadership is the art of accomplishing more than the science of management says is possible. This session will examine a number of aspects of leadership and how to apply it in our business environment. We will distinguish leadership attributes from management attributes and their impacts. Working with your legislators is paramount to moving key initiatives forward. This presentation will explain the legislative practices and some of the necessary stops to take to successfully interact with legislators and their staff. The presentation will also cover the current government affairs program being undertaken by the National Society of Professional Surveyors (NSPS) in Washington D.C. NSPS, through its involvement with the Joint Government Affairs Committee has advanced many of the programs directly affecting surveyors across the country. Past, present and future initiatives will be presented. John Matonich, PS, is the Chairman of the Board of ROWE Professional Services Company, a firm specializing in consulting engineering, surveying, planning, landscape architecture, aerial photogrammetry, and land development services in the Midwest and across the country. John joined ROWE in 1981. He was named a principal in 1992, promoted to president in 1997, to Chief Executive Officer in 2001 and as Chairmen in 2006. John retired from management of Rowe in January of 2016. John is licensed as a professional surveyor in Michigan, Ohio, and Wisconsin. He served as President of the National Society of Professional Surveyors, (NSPS) in 2009-2010, and currently serves as the Treasurer of the Wisconsin Society of Land Surveyors. 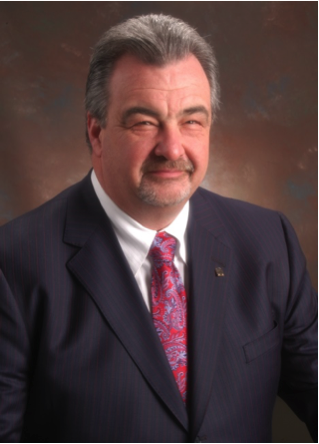 John is also a past president of the Michigan Society of Professional Surveyors (MSPS). John was voted as a Fellow Member of the NSPS, ACSM and MSPS organizations. John obtained his Bachelor of Science degree in Land Surveying with honors from Michigan Technological University in 1981. John resides in Marenisco with his wife, Stephanie. *Government Employees can get firm member rate with PO. Please complete and submit the PDF form. PCI Compliance: MSPS has taken the appropriate steps to maintain PCI compliance. In order to protect your privacy, please do not email your credit card information to our office. Cancellation Policy: Cancellations received by the MSPS office at least 14 business days prior to the event are eligible for a refund of the registration fee, less a $25 processing fee. No refunds will be provided for cancellations received fewer than 14 days prior to the event. No-shows will be billed for any unpaid registration fees.